Word on the street is that dermatologists recommend washing your face twice a day- That’s 730 times a year!! We get it!! It’s the end of a long day and all you want to do is crawl into bed for a good night’s sleep. But first you’ll need to wash away all the pollutants, dirt, make-up and dead skin cells sitting on the surface of your skin, tone, moisturize and sometimes give yourself a facial. 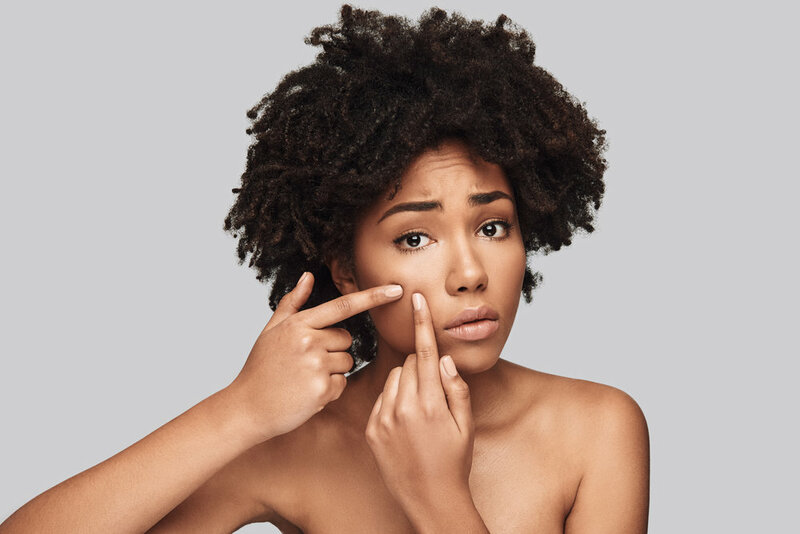 A consistent skincare routine may seem like a no-brainer however, there are certain techniques that will leave you with healthier skin and ensure that you aren’t wasting precious time and effort washing your face the wrong way! With the right methods, you can even help to prevent premature sagging, wrinkles, gross breakouts and other unwanted blemishes!! We’ve compiled the top ten most common face washing mistakes and provided some solutions on how to correct them, so that you can start putting your best face forward!! Choosing the wrong cleanser for your skin could mean the difference between clear skin, moisture loss, or not getting your skin clean at all! Generally, you can choose from cleansers that are cream, foaming or gel. If you have acne-prone skin you won’t want to pick up the cream cleanser. And likewise if you have dry skin, the gel cleanser will strip you of needed moisture. Never wash your face with extremely hot water as it can strip your face of natural oils and inflame skin conditions like rosacea and eczema. Lukewarm water is ideal for cleansing and rinsing. We all have days when we don’t feel like washing our face. Although the convenience of facial wipes and micellar water is great, washing your face should never be substituted with only those products. They can occasionally be used for a quick post-workout wipe down, but they won’t get your pores as clean or thoroughly remove your oil and makeup. Twice daily is the recommended number of times to cleanse your skin. If you cleanse too often, you’re not giving your skin enough time to balance out but if your are washing too seldom that mean you are probably leaving behind free radicals and day to day dirt from the previous day on your face. Ekkk!! Be sure you’re completely rinsing all of your cleanser off with water. Leaving behind a residue will eventually clog your skin and could interfere with your moisturizer retention which is vital for plump skin. There is nothing wrong with using a towel but you want to avoid rubbing your skin dry especially if you are on the sensitive side and after a exfolianting treatment. Gently patting is ideal after cleansing. Any tugging and rubbing can damage your skin’s elasticity and lead to premature wrinkles. If your cleanser stings your eyes, or doesn’t remove your eye makeup thoroughly, you’ll want a separate eye makeup remover. If you don’t use one, you’ll be tempted to pull and rub the eye makeup off with a washcloth or towel. Never pull at your lashes to remove mascara, the delicate skin around the eyes is the first to show signs of aging. Scrubbing off makeup with a rough washcloth or abrasive scrub can cause tears on delicate facial skin. Try exfoliating your face in gentle circular motions with a microfiber facial cloth or a baby brush without damaging your skin. Over exfoliation can dry out skin, so be sure to follow up with a luxurious moisturizer. Moisturizer should be applied to damp skin, never wait for your skin to completely dry after washing your face. Pat with a towel, but leave your skin damp while applying moisturizers to allow easy absorption into your skin. Not sure where to start or want to tweak your existing SKINcare routine?? Download your SKIN reset calendar below!! I want my 28 day SKIN reset calendar! !